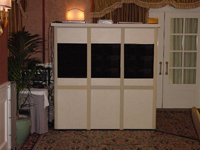 Global Equipment Network, Inc. can source Simultaneous Interpreters for all of your conference or meeting needs. Our interpreters have State Department, United Nation or an equivalent certification with many years experience. Our pursuit of the finest interpreters insures an accurately interpreted event and the assurance your message was clearly understood. Our interpreters are full time professionals who are contracted based on your meeting requirements and their interpreting specialty. Just as important to what we look for in an interpreter, it is also important to know whom we do not collaborate with. Global Equipment Network, Inc. does not hire ‘interpreters’ who do not have a background or references we can thoroughly check. We also do not hire interpreters who lack the necessary experience or technical background. Finally, we do not hire interpreters who we have not worked with at previous events or ones whose interpreting partner is not comfortable with. 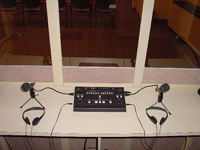 As a full service provider, Global Equipment Network, Inc. can provide the appropriate Simultaneous Interpretation Equipment for your event, weather it is an informal bilingual meeting or a ten language international conference and the appropriate Simultaneous Interpreters for the event. 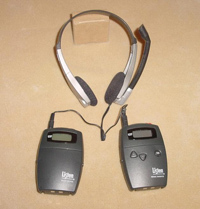 Being able to go to one source for the equipment and interpreters allows you to concentrate on the other important aspects of your conference. 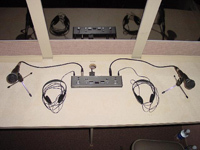 You can depend on our reputation to give you not only the finest Simultaneous Interpretation Equipment & Technical Service, but valuable and professional grade Simultaneous Interpreters as well. Global Equipment Network, Inc. can source interpreters for your events throughout the United States and abroad. Our incredible database of interpreters was compiled over the past nine years and includes over 2,000 professional, qualified linguists. It’s the little things that can make your meeting not only successful, but a more enjoyable experience. When contracted to provide the interpreters, Global Equipment Network, Inc. makes sure they have the necessary documentation and presentations to properly review the conference proceedings. 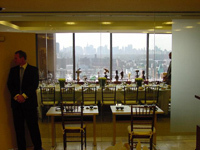 We also make sure they are aware of meeting times, location and the meeting room itself. Like a doctors office, we call our interpreters the day before to confirm their assignment. While at the event, our technicians make certain the interpreters have any updated materials, are comfortable with the setup and have a ample supply of drinking water. Although these tasks may seem trivial, they are vital to a smooth conference.